Beautiful hilltop views from this gorgeous, 2,700 sq ft house with wrap around porch. This newly renovated home has 5 bedrooms/ 3 bathrooms and whirlpool tub in master bath. There is a King master and Queen bedroom on the main level and upstairs has a King, Queen and Twin bedroom. Large flatscreen TVs in every room! Completely remodeled top to bottom. All new furniture in all bedrooms and throughout the home. All new kitchen appliances and brand new heavy duty washer/dryer and outdoor gas grill. Kitchen is stocked with all of the dishes, appliances and utensils you will need to enjoy your stay. The home also has a large 2 bay garage perfect for storing your boat and getting your poles ready for that record breaking catch. Also, there’s an ice machine to fill your coolers! You are approximately 4 miles from the closest public ramp…5.5 miles from Dayton Boat Dock…3.5 miles from Walmart and restaurants. Nightly rate is $200 per night for up to 4 people. All over 4 people will be $15 per night, per person. There is a 2 night minimum. Maximum occupancy is 10. Please email or call us for availability and more info. We are located in historic Dayton right in the Tennessee Valley and minutes from Chattanooga. Our single story, design Inn features 32 guest rooms nicely furnished with amenities including Free Hi-speed internet access, cable TV with HBO, and free airport pick up service. Our units even offer mini-fridge and microwave in your room along with wireless high speed internet access. Other property amenities include on-site fax/copy services, vending and ice machine. There is a wide variety of shopping at the many stores and restaurants located only a short distance from our property. Next door, at our sister property, take advantage of the guest laundry facilities. Minutes away from Dayton Boat Dock, Tennessee Valley Theatre, TN Aquarium and downtown Chattanooga, come relax and enjoy the BEST hospitality in town at Americas Best Value Inn Dayton. Stay on the Water in Dayton! Bluewater Resort is a unique locally owned and operated Lodge, RV Campground and Marina that caters to families and fishermen. 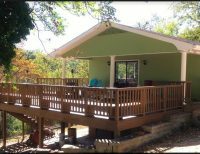 Our beautiful log cabin style Lodge and 2012 Tennessee campground of the year provides for an incredible stay. Your boat can be parked within 10 feet of your door, complete with electricity and water. Our private launch ramp and general store is located at the blast off point for most tournaments allowing anglers to relax at our outdoor fire pit until their starting time. 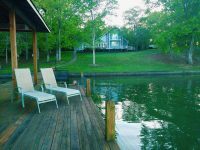 Chattanooga Vacation Rentals has 3 properties in Dayton and 20 other properties in and around the Chattanooga area (about 50 minutes from Dayton). 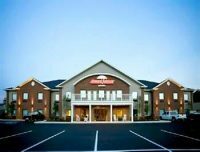 Discover the comfort and unique charm of Fairfield Inn & Suites by Marriott in Athens, TN. Our hotel features a central location just off I-75 near Dayton, TN. After a day of adventures, retire to our rooms and suites where plush beds await. Start each morning with our complimentary breakfast. At our 24-hour fitness center, you can work out with our state of the art fitness equipment. After you have completed your workout, cool down in our heated, outdoor pool. At Fairfield Inn & Suites by Marriott in Athens, TN, you’re our #1 priority! We’re also conveniently located near Dayton Boat Dock, Bryan College, Oxford Graduate School, TVA-Sequoyah Nuclear Plant, La-Z-Boy and many other manufacturing and government nuclear plants in Dayton. The hotel’s amenities include two meeting rooms, a 24-hour Business Center and a weekly Priority Club Reception, where you can enjoy a meal, dessert, a movie and popcorn. Park at door convenience, 1 mile from Dayton Boat Dock, Bryan College, Kayser-Roth, and La-Z-Boy. Walk to shops and restaurants. Rooms offer premium movie channels, dataport phones, fridges & microwaves. Welcome to the Sleep Inn and Suites of Dayton, Tennessee, Rhea County’s newest hotel. 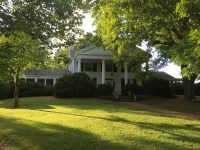 Perfectly located in a central location on Highway 27, guest will have easy access to Chickamauga Lake, dinning, shopping, businesses, schools and other activities. Sleep Inn and Suites is proud to offer the perfect combination of comfortable accommodations, excellent amenities, and outstanding customer service! Our employee’s prioritize your experience so when staying in our simply stylish sanctuary you will always feel close to home. Click here for special angler rate. 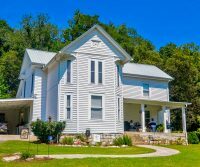 The Trinity Cottage is a historic gem in Dayton. It was built in the 1920’s as the parsonage for the Trinity Chapel next door. It’s been completely renovated and updated. It has 3 bedrooms and 2.5 bathrooms. We are 23 miles off I-75 in Athens (exit 49- Hwy 30) to Dayton, TN. We are 23 miles off I-75 Cleveland (exit 27- Paul Huff Parkway) to Dayton, TN. We are 38 miles from Downtown Chattanooga. We are 34 miles from Fall Creek Falls. We are 115 miles from Great Smoky Mountains.